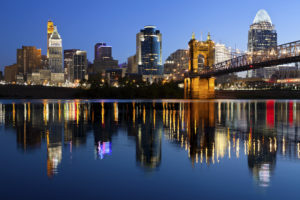 We are always so excited to welcome our consultants for our training sessions and conferences but we’re especially thrilled this week to bring everyone in to our home town of Cincinnati for National Training! It’s going to be an amazing opportunity to “stay a student” and learn from ea ch other, and from our experts on how to run your business, increase sales and generally become a better CEO of your own company and your own life. Education keeps us up to date on trends and topics and makes us experts in our field. Read more from their blog at http://blog.integrityts.com/the-benefits-of-continuing-education-for-your-organization. Want more support for the idea of learning beyond graduation? Read this article from our friends at The Muse https://www.themuse.com/advice/schools-not-out-the-importance- of-continuing-education. And, of course, Chris and I will be speaking as well. It’s not all classes, of course, there’ll be happy hours, workout sessions in the morning, and we’re going to the Reds game this weekend. We’re looking forward to seeing you at this week’s National Training. We hope you’ll come away inspired and ready for a great year with Pure Romance! One Response to "It’s National Training Week!" It was an amazing National Training! This was my 14th year and it gets better and better! Thank you!